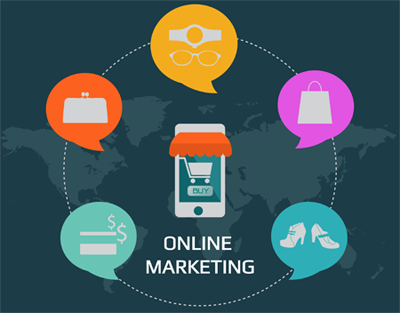 Savvy business owners recognize that in order to keep up with the competition it is important to utilize the internet in their marketing strategy. At Web Marketing Army we specialize in all aspects of internet marketing, including Search Engine Optimization, Social Media Marketing, Search Engine Marketing, Conversion Rate Optimization and Email Marketing. It’s one thing to recognize the internet as a valuable marketing method, it’s another to be successful. We have many years of experience and know the pitfalls and mistakes businesses make when they try to go at it alone. Our single most important goal is results, and we will work closely with you and your business to ensure your internet marketing strategy really pays off. 1) Use a range of methods to promote your business online and expose your products or services to a wider audience, leading to long term brand loyalty and success. 2) Build up the online reputation of your business through professional and ethical marketing practises. 3) Improve organic search engine rankings for competitive keywords and brand related keywords, so potential customers will find your site using Google and other search engines. 4) Display and optimise all online advertisements (ex: Google AdWords) by targeting the audience most likely to engage with your business, resulting in the maximum return on investment. 5) Build up a close relationship with the International and Sri Lankan community by sharing valuable and interesting news, articles, photos and videos related to your business on social media platforms (Facebook, Google Plus, LinkedIn, Twitter, Pinterest, Youtube and Instagram). 6) Increase the conversion rate of your online business with pinpoint targeting and effective sales copy in all aspects of internet marketing. 7) Increase overall targeted traffic (web hits) from social media platforms, search engines, and online ads. 8) Through points 6 and 7, we will Increase the leads and interest in your products and services, resulting in more sales. 9) Increase offline sales through an overall increase in brand awareness and direct call to actions. 10) Spend our time running your internet marketing campaign so you can focus on other important aspects of your business. Give us a call at +94 76 6683534 or an email at info@webmarketingarmy.com and we will offer you solutions to achieve the goals.